Lucknow, Feb 7 (PTI) The Uttar Pradesh government Thursday allocated Rs 1,200 crore for a scheme for girls and Rs 612 crore for stray cattle and construction of cow shelters in the Budget for 2019-20 financial year ahead of the Lok Sabha polls. 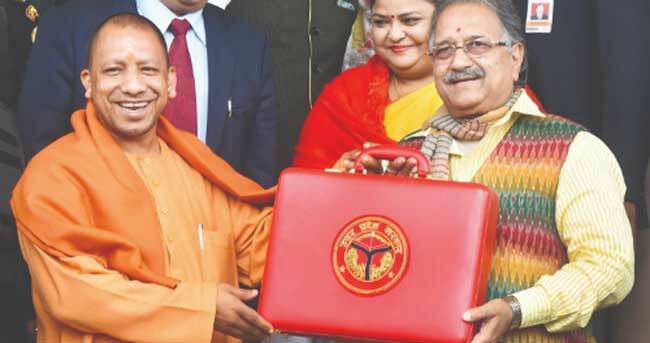 The Yogi Adityanath government presented a Rs 4.79 lakh crore budget, which is 12 per cent higher than the amount of Rs 4,28,384.52 crore earmarked for the current financial year ending March 2019. After presentation of his government''s third budget, Adityanath said it is the biggest one in the history of Uttar Pradesh. "The budget should be ''lok kalyankari'' (welfare-oriented) rather than ''lok lubhawan'' (populist)," he said even as the Opposition parties described it as a populist budget. In his speech, punctuated with Urdu couplets, Finance Minister Rajesh Agarwal announced new schemes worth Rs 21,212.95 crore, including the ''Kanya Sumangala Yojana'' to improve health and educational standard of girls as well as bring in a positive change in the thinking towards women. An allocation of Rs 612.6 crore has been made for maintenance of stray cattle and constructing ''gaushalas''. The announcement also comes against the backdrop of reports of farmers locking up bovines in schools and public health centres following instances of stray cattle damaging crops. Besides, the government would provide Rs 942 crore towards scholarship scheme for students belonging to minority communities and Rs 459 crore proposed for modernisation of Arabi-Farsi madrasas. Ahead of the upcoming Lok Sabha polls, the Uttar Pradesh government has earmarked Rs 3,194 crore for construction of expressways and Rs 13,135 crore for laying of roads in the state. It has also allocated Rs 3,522 crore for the maintenance of roads and expressways by the Public Works Department (PWD). A budgetary provision of Rs 2,100 crore would be made for construction and maintenance of bridges apart from Rs 850 crore to connect the villages and settlements through concrete link roads under various schemes. Also, Rs 1,174 crore would be earmarked for widening and strengthening of important roads on the interstate and international border. Another Rs 500 crore would be provided for acquiring land to develop defence corridor along with Bundelkhand expressway and Rs 100 crore allocated for strengthening of the proposed Agra-Lucknow entry-controlled 6-lane expressway project. Among others, Rs 800 crore has been earmarked to acquire land for the Jewar airport, which is coming up near the national capital. Allocations have been made for development of Ayodhya, including Rs 200 crore for an airport and Rs 101 crore for the development of tourist spots in the city. As part of its focus on development and beautification of religious places, the state government has selected Ayodhya, Varanasi, Mathura and Allahabad. Finance Minister Rajesh Agarwal said Shri Kashi Vishwanath Special Area Development Board has been set up to ensure implementation of Shri Kashi Vishwanath Mandir Expansion Scheme in Varanasi, the Lok Sabha constituency of Prime Minister Narendra Modi. Agarwal said Rs 207 crore has been pegged for the expansion and beautification of the road from the Ganga bank to Vishwanath Temple in Varanasi. About the budget, Adityanath said there is no need for anyone to worry. "... it is my belief that the state requires ''lok kalyankari'' rather than ''lok lubhawan'' schemes...which could extend the right for a poor to lead an honourable life...," he added. To a query related to deficit in the budget, the chief minister said it was well under limit and it is reflected in the figures because of the loans of the previous governments which were not paid "and we are repaying it". Opposition parties, however, lashed out at the government for presenting a "populist" budget. "However populist the budget might be in an election year, the works all through the year relating to people''s welfare and interest and control over law and order are important for the common people," BSP president Mayawati said in a tweet. SP chief Akhilesh Yadav said the budget is a betrayal of the people in the name of ''Sab ka Saath, Sab ka Vikas" and that the financial plan neither has "development nor vision". "The person running the government is ''sanyasi'' and ''yogi'', who does not understand much. 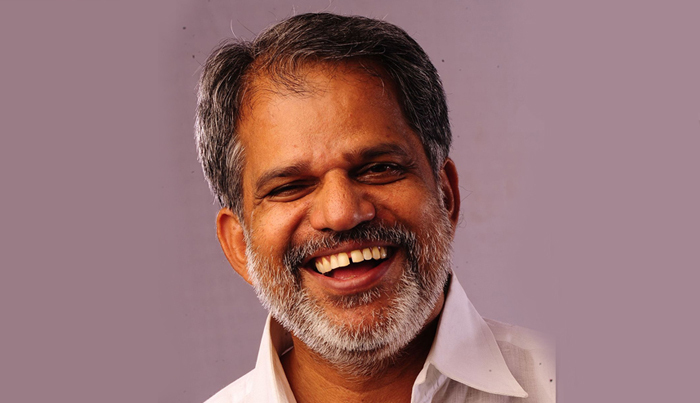 The budget neither has anything for ''rajkosh'' (state exchequer) nor for ''dharmkosh'' (religions affairs). This budget will hardly get any marks from me," Yadav said. Congress spokesman Ashok Singh said the budget was aimed at befooling the people of the state while Rashtriya Kisan Manch president Shekhar Dixit said it was a "jugglery of figures".